On 24 November Sony Music will release ‘Len’s legends: Best of British’ a brand-new compilation by Len Goodman celebrating some of the best voices and music talent from the UK that has helped shape his life and career. 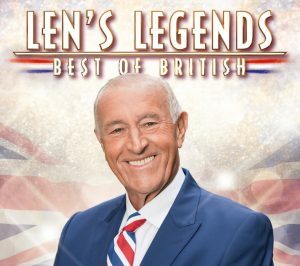 The 3-CD compilation album is Len Goodman’s third album for Sony Music, the previous two selling over 200,000 copies between them. The King of the Ballroom’s third compilation is a poignant collection of the music that influenced both his dance career and memorable life moments and most notably includes the track ‘Pick Yourself Up’ by Len’s dear friend and Strictly Come dancing colleague, the late British showbiz legend Sir Bruce Forsyth. 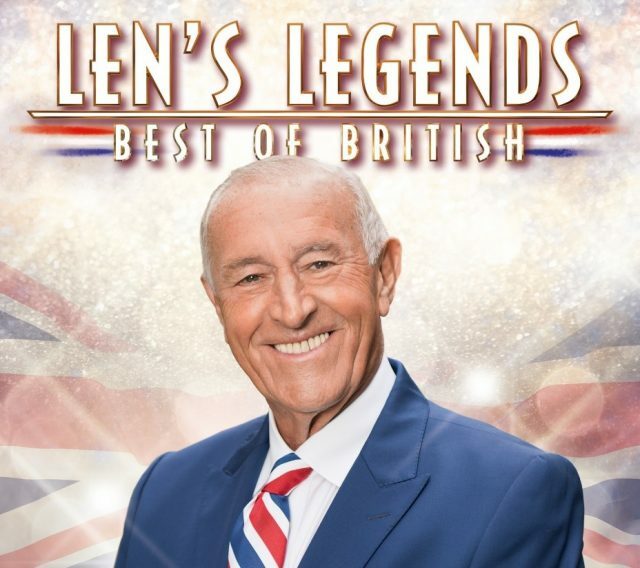 This celebration of the best of British musical talent and timeless classics also features the likes of musical legends; Dame Shirley Bassey, Queen, Dusty Springfield, Elton John, Tom Jones, Acker Bilk, Anthony Newley and many more. Known to millions as the Head Judge of BBC’s Strictly Come Dancing and ABC’s Dancing with the Stars, Len has sashayed his way to the top of the dance world. Beginning his dance life at the age of 21, he has gained years of vast knowledge and experience in Ballroom and Latin American dancing through teaching, competing and judging, making him a four-time British Champion. Since then, he has continued his radio career, hosted a new quiz show, ‘Partners In Rhyme’ for the BBC and released two highly successful compilation albums.